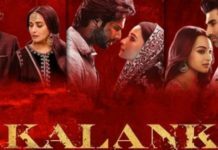 Kalank is a 2019 Bollywood romantic movie directed by Abhishek Varman and produced by Karan Johar and Sajid Nadiadwala. Also, after 20 years we will see Madhuri Dixit, and Sanjay Dutt sharing screen along with Alia Bhatt, Sonakshi Sinha, Varun Dhawan, Aditya Roy Kapoor, and Kunal Khemu. The movie is a tragedic love story, about Roop and Zafar and how things change when the communal tension increases. 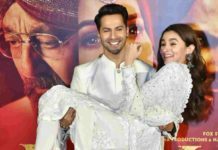 Overall, the movie has received a good response and below in this article, you will find the Kalank Box Office Collection, Hit or flop. There is a good opportunity for Kalank movie to perform better than Kesari and Total Dhamaal on its first Day. As per the reports, Kalank movie 1st-day occupancy is 40% more than Kesari and Total Dhamaal. Hence, we expected that the movie will do better in the Box Office Collection. 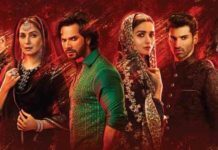 Also, Kalank movie has occupied a total of 5300 Screens Worldwide, which can be considered a good count to make a good collection. If the movie receives a positive talk, then it is expected to gross more than 180 Cr and if not, we expected it to be around 60Cr. 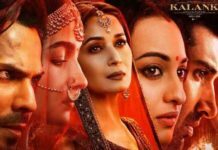 Kalank movie is made with a Budget of 80Cr, which makes this movie a high budget movie. Also, as per Movie-Rater’s HOFS Scale, we can consider Kalank a Hit movie only if it makes more than 150 Cr in the Box office Collection. 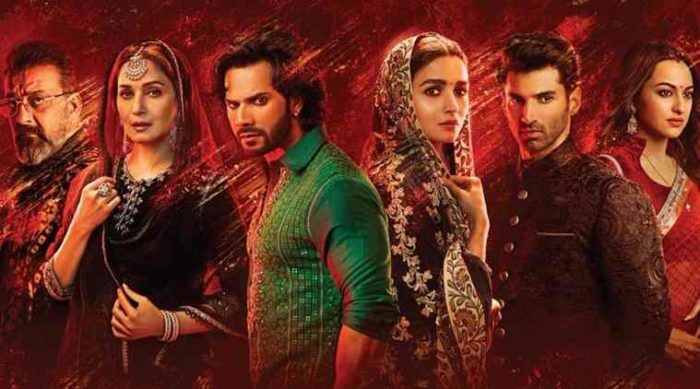 It will be considered right to decide Kalank Hit or Flop after we get its total Box Office Collection report.